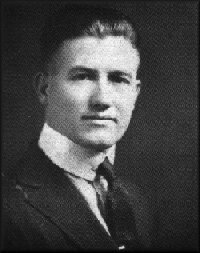 William H. “Bill” Blizzard (September 19, 1892 – 1958) was a union organizer. He was considered the overall commander of the miners’ army during the Battle of Blair Mountain, though it should be noted that many of the miners acted in their own bands verses being a solid military organization. Bill Blizzard was the son of Timothy Blizzard and activist Sarah Rebecca ‘‘Mother’’ Blizzard. Born in the Cabin Creek district of Kanawha County, Blizzard first became involved with the United Mine Workers of America during the bloody Paint Creek-Cabin Creek strike of 1912–13 (This is often considered the first major war against the coal operators in WV). Bill Blizzard was president of District 17 of the United Mine Workers and became a new folk hero to the miners after the death of Sid Hatfield. Blizzard is most remembered for his role in the Battle of Blair Mountain, leading the miners against the forces of Logan County sheriff Don Chafin. While District 17 President Keeney and Secretary-treasurer Mooney managed events behind the scenes, Blizzard led the miners in the front lines of the fighting at Blair Mountain. After the Battle of Blair Mountain, Blizzard was tried at Charles Town for treason and murder, defended by T. C. Townsend and Harold Houston, and found not guilty on both charges. However, the District 17 officials had lost favor with UMWA President John L. Lewis, and in 1924 Keeney and Mooney were forced to retire. Blizzard remained in the union but lost much of his influence. Blizzard returned to prominence in 1931 when he led the UMWA’s struggle against Keeney’s West Virginia Mine Workers Union. In 1945, Blizzard was appointed president of District 17 and served for 10 years. Blizzard died of cancer July 31, 1958, reportedly having come to regret his long association with the Lewis forces inside the UMWA.